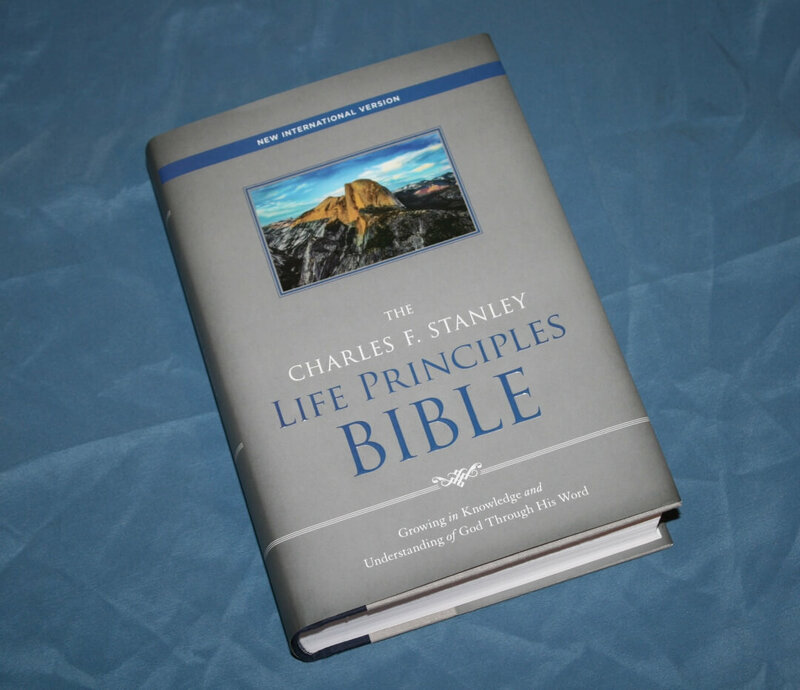 The Charles F. Stanley Life Principles Bible was designed to help believers grow closer to God in their daily walk. 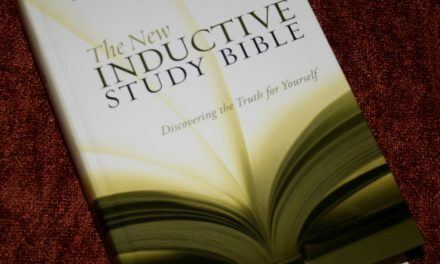 It’s based on the 30 life principles that Dr. Stanley teaches. 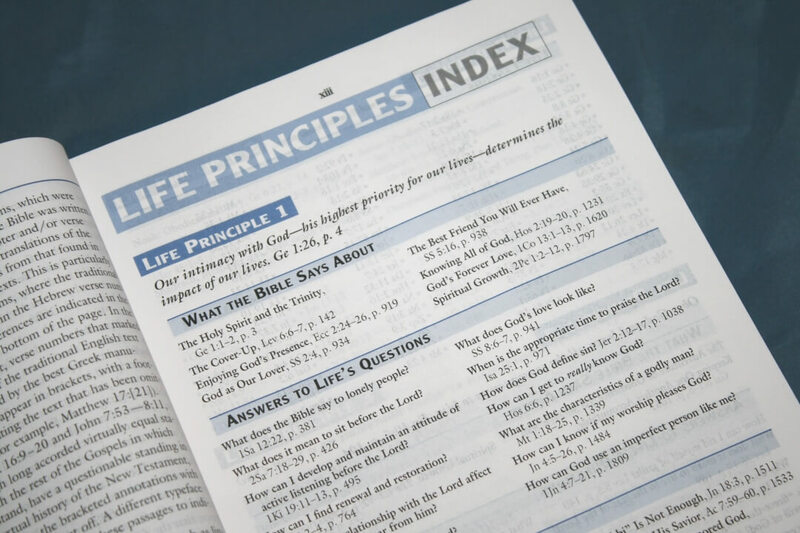 The Life Principles Bible has been around for awhile, but it’s now been revised and updated with even more material. 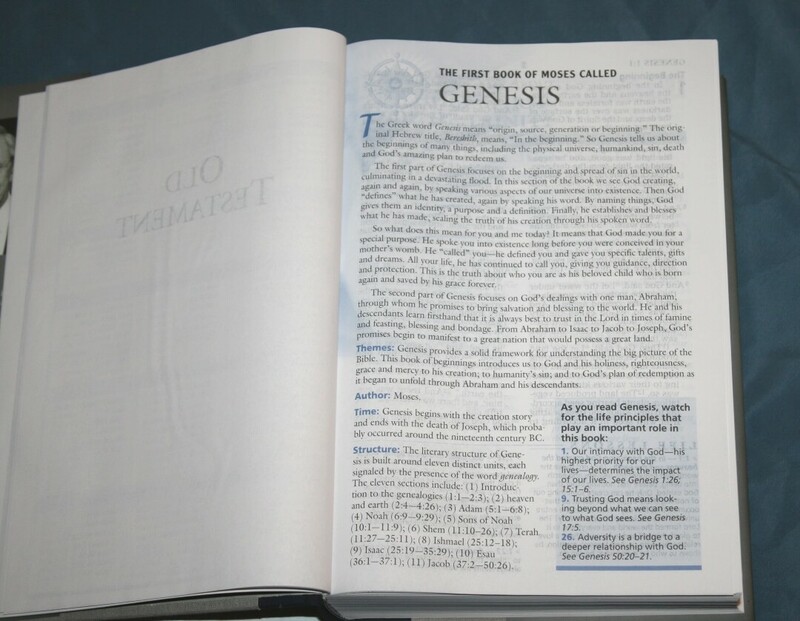 This Bible uses the 2011 NIV text. I’m reviewing the hardcover edition, ISBN: 9780718097042, made in China. This edition is hardcover with a dust jacket. Underneath the dust jacket is a two-color cloth over board with oatmeal front and back and black spine. It’s sewn and lays open to any page with ease. The paper is probably around 30gsm. It has a rough texture and no glare under direct light. It’s white in color and decently opaque, but it does have more show-through than I like when reading under a bright light. This Bible feels well-made. It’s 9.5 x 6.5 x 2″ and weighs 3 lbs 2 oz. The text is presented in two-column paragraph format with notes placed in the bottom portion of the page. The header includes the book name, chapter, and verse in the outer margin and the page number in the center. Footnotes are placed under the last verse on the page. 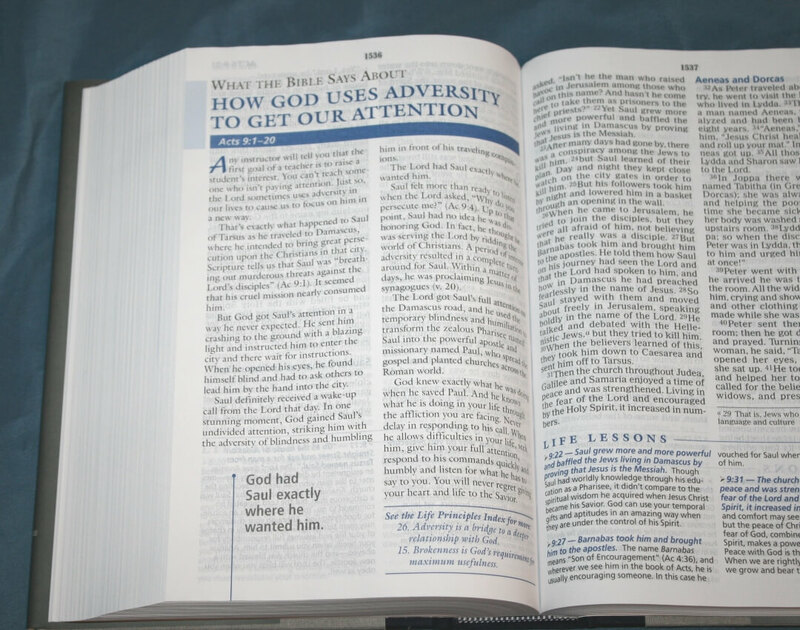 Section headings, chapter numbers, and the Scripture in the notes are in blue. Poetry is set to stanzas. Promises are highlighted in blue. The typeface is 10-point black letter for the text and 8-point for the notes. It’s not a heavy font, but it is darker than most study Bibles. It’s about a medium/dark and is consistent throughout. It’s highly readable. The verse numbers are superscript. They’re not dark but they’re 8-point so they are large enough to find easily. It has around 38 characters across with around 6-8 words per line. It has a good amount of leading to make it comfortable to read. The section headings are giant print and stand out nicely. 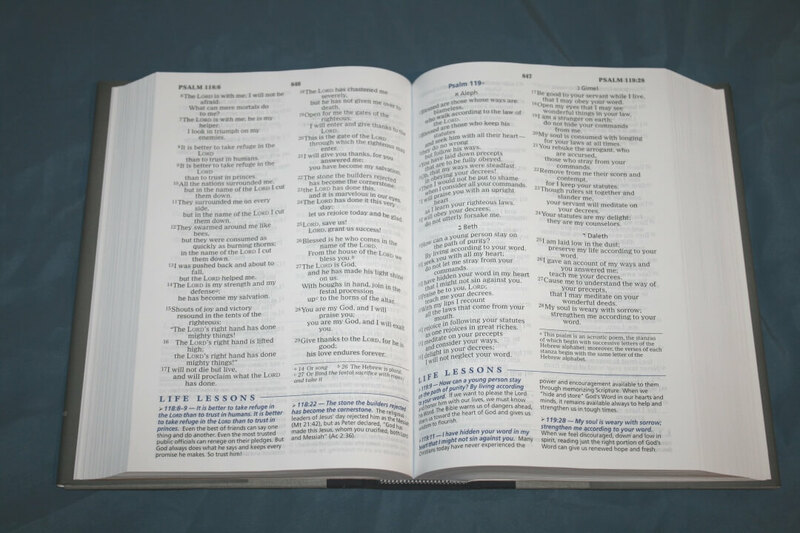 An index in the front provides a list of all the Life Principles and Promises. It divides the Life Principles by number and category and supplies the title, verse number, and page number for each one. 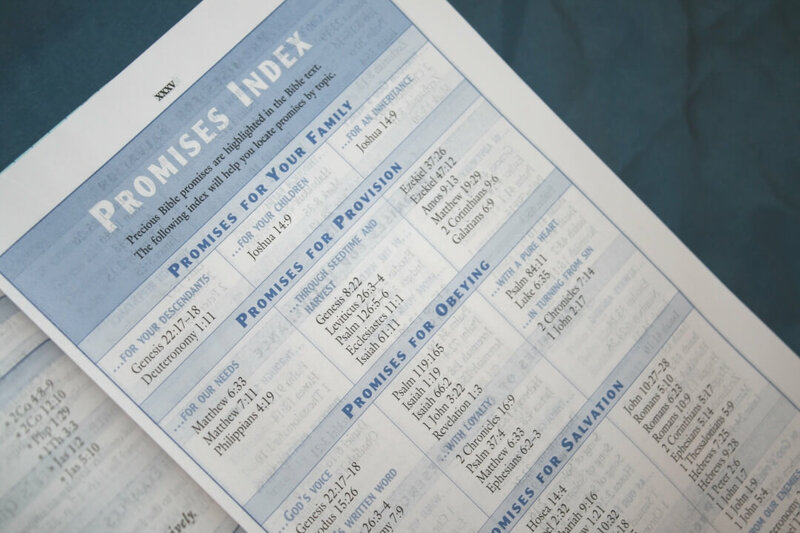 The Promises Index includes the category, sub-category, and Scripture references. These are especially helpful if you’re studying a specific theme. Book introductions are about a page and include information about the title, provides a breakdown of the book, an application, etc. It covers the themes, author, time, structure, and life principles that play an important role in the book. They provide basic information, but they do include some good insights into the setting which I found useful for study and teaching. 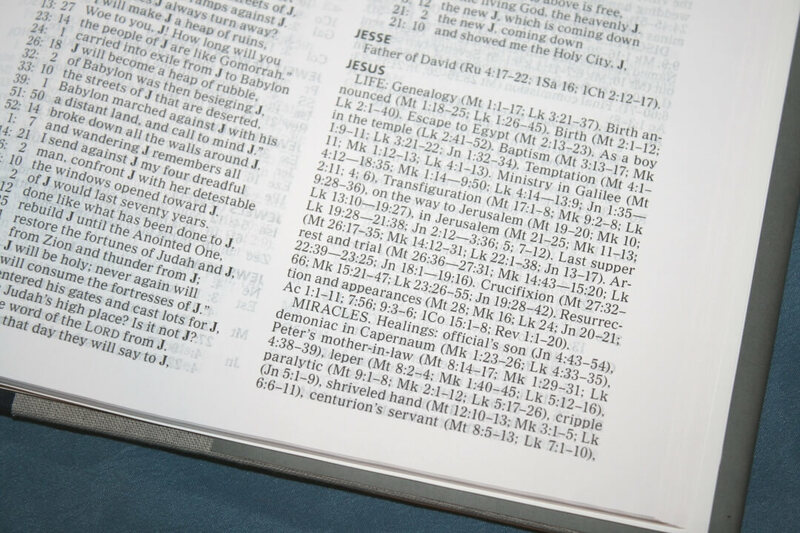 This Bible includes lots of different types of study material. It doesn’t include cross-references, but the notes contain the most important references. Here’s a look at the types of study material included. Life Lessons – these are the notes at the bottom of the pages. There are 2500 of them. They include a blue line to separate them from the text. 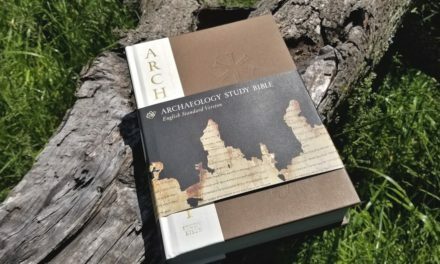 They cover culture, history, theology, commentary on the text, provide references for quotes, prophecies, and other Scriptures on the same theme. 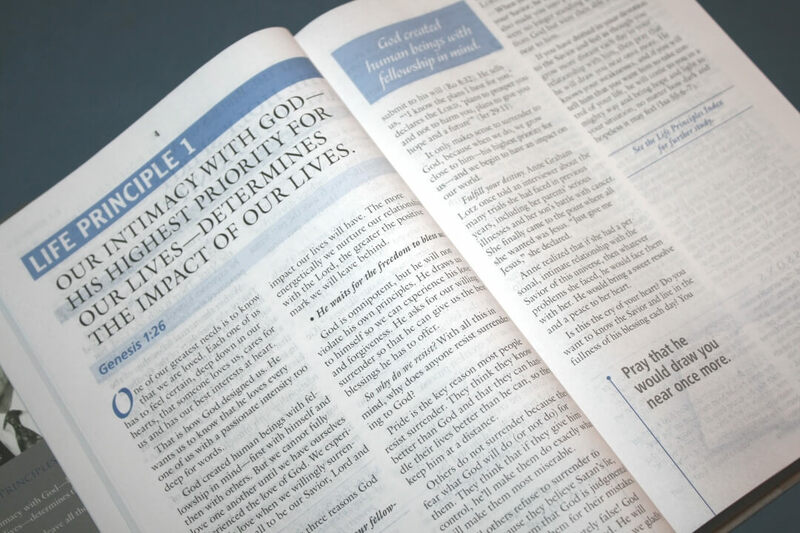 Life Principles – there are 30 Life Principles articles that cover the most important principles for Christian living. Topics include prayer, obedience to God, God’s Word, reaping what you sow, fighting battles, trusting God, etc. They take a page or two and go deeper into their topics than the other notes. 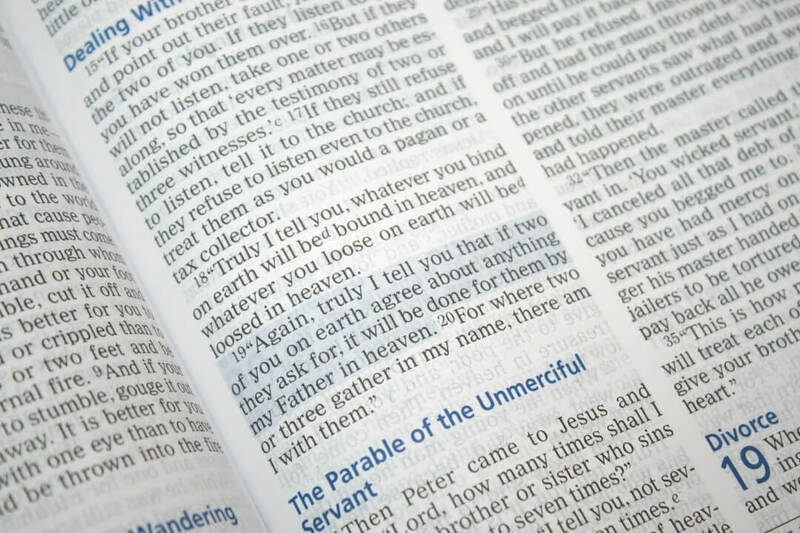 Life Examples – these are short articles that cover most of the major characters in the Bible. They mostly focus on how their experiences can provide lessons to help and encourage us. They’re placed within the text in a gray box so they stand out. 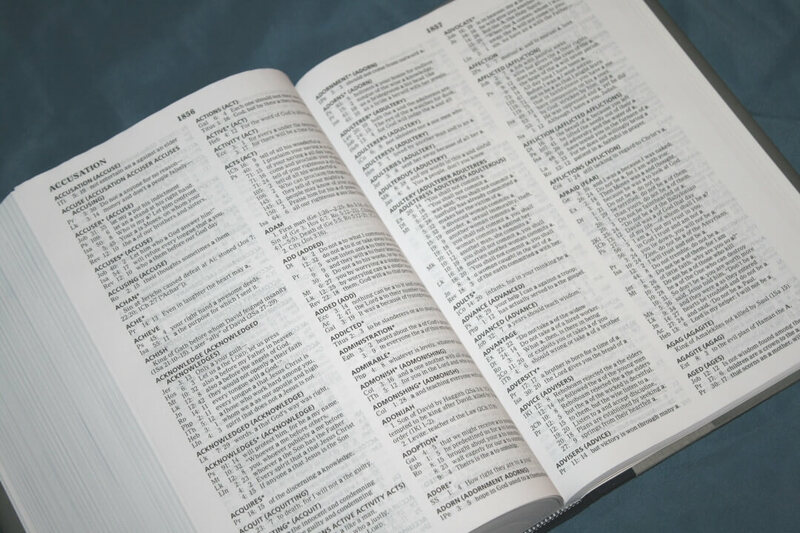 They include the person’s name, a title, Scripture reference, the information, and a list of similar articles to see in the index. 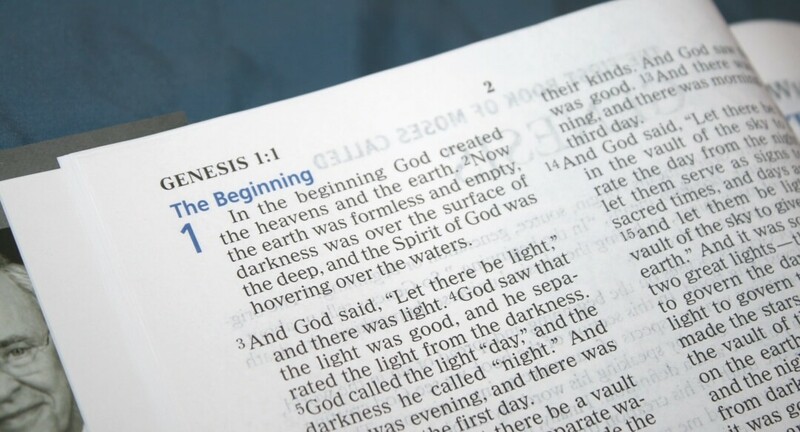 What the Bible Says About – these are one-page articles that give a title, Scripture reference, a short essay about the point, a call-out, and a list of related articles to see in the index. 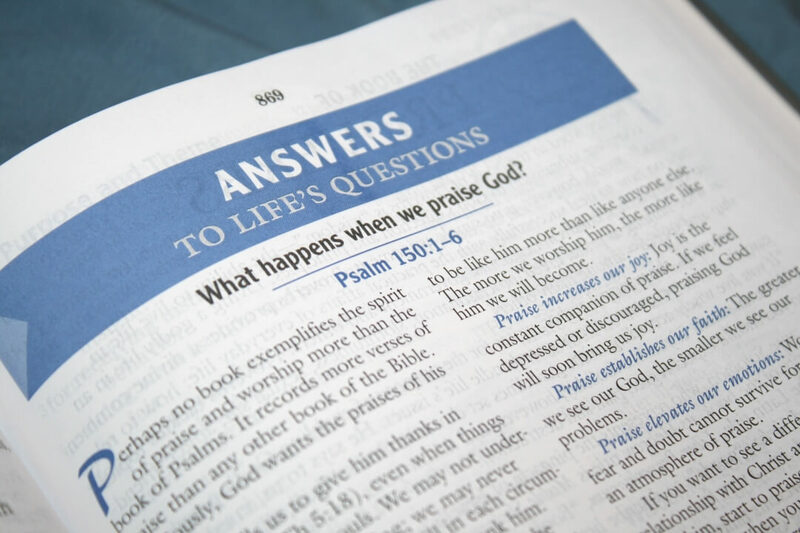 Most answer a question about our walk with God. They raise questions and give Scriptural answers and include references so you can look them up. There are a few that include theology. God’s Promises – they cover over 300 promises to strengthen and encourage us. 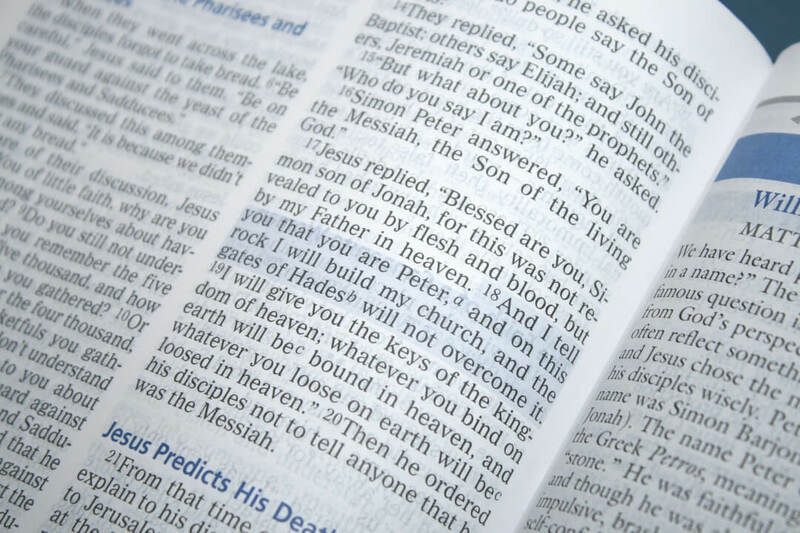 These are Scriptures that are highlighted blue in the text. They cover family, salvation, deliverance, peace, blessings, success, protection, etc. There’s an index in the front for the promises. 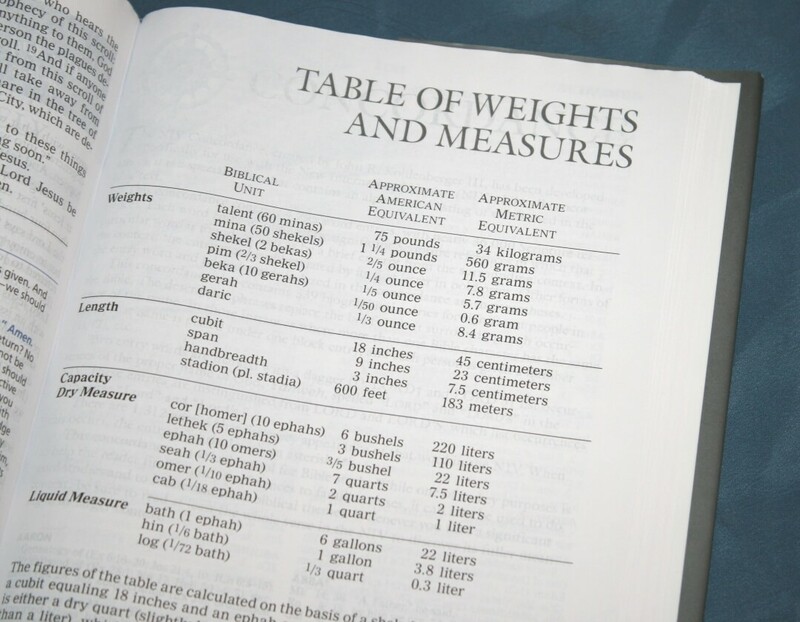 Table of Weights and Measures – this is a single page that shows the biblical unit, approximate American equivalent, and approximate metric equivalent. It includes weights, length, and capacity in both dry and wet measures. 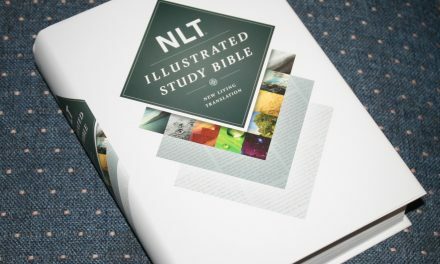 This is the standard NIV concordance. It’s 280 pages with two columns per page. This is one of the best concordances that I’ve seen in a study Bible. 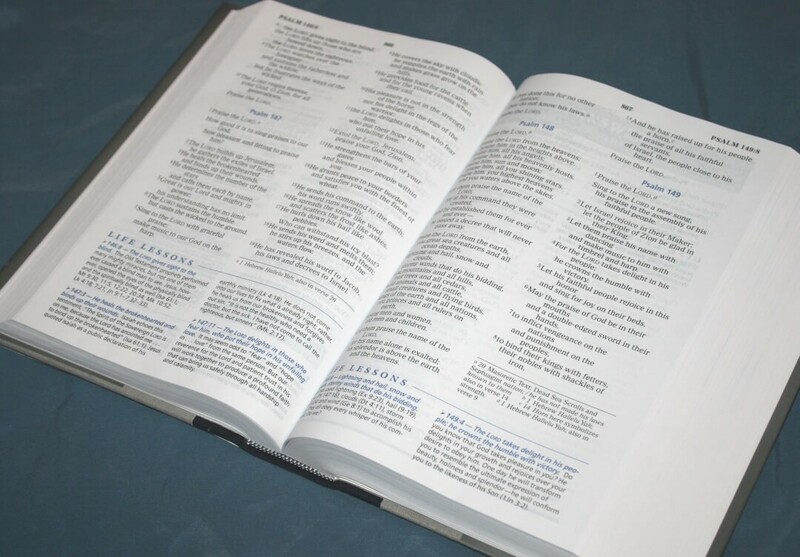 It’s extensive (with 4795 entries and 36,000 references) and is an excellent tool to study, teaching, and preaching. 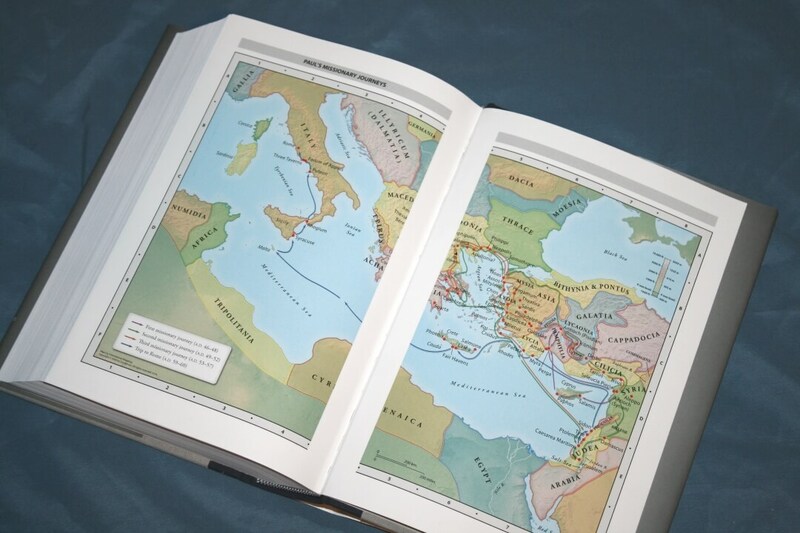 Rather than just word-entries it also includes 339 biographical entries for the most significant people in the Bible. 1312 entries give every reference for a word. Those are marked with an asterisk. It includes 8 pages with 7 maps printed on thick semi-glossy paper. 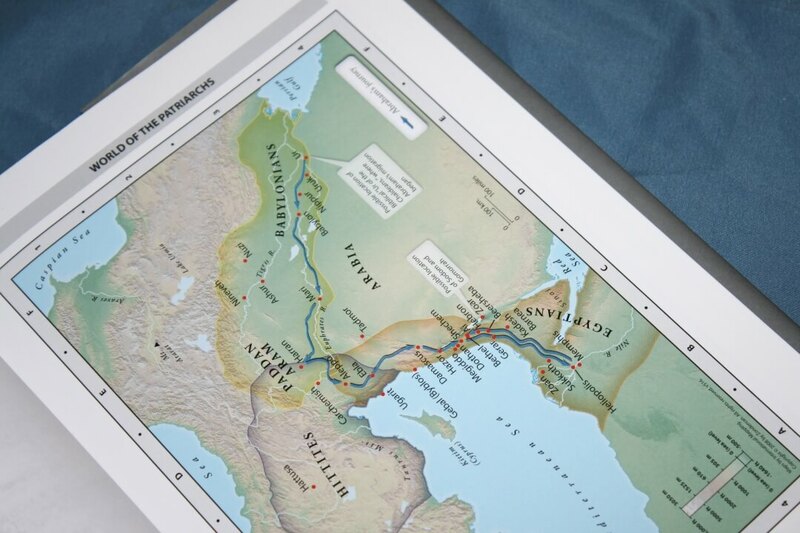 Maps are printed in full color. They’re bold colors but they’re not overly bright. I like these colors. 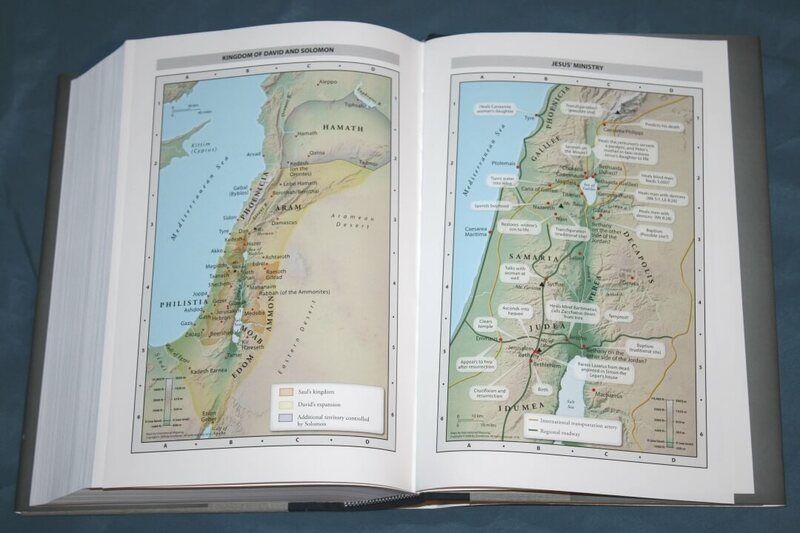 They include elevation, topography, annotations, distance, journeys, areas of control by Israel, wandering routes (without a Red Sea crossing), battle sites, cities, kingdoms, roadways, dates, city walls, etc. It doesn’t have an index but they are labeled well, so locations are easy to find. 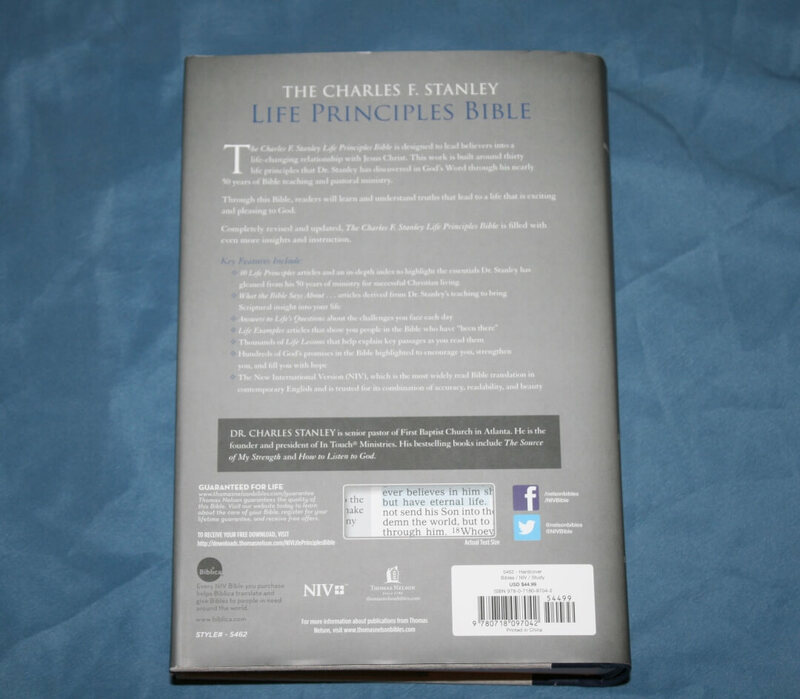 The Charles F. Stanley Life Principles Bible is an excellent study Bible. It’s constructed well. I wouldn’t mind if the paper was a touch more opaque, but I can still use this paper. The pages are easy to turn. I haven’t marked in it but I think dry highlighters would be fine. The text is highly readable and the design keeps the focus on the text while providing helpful insights throughout. 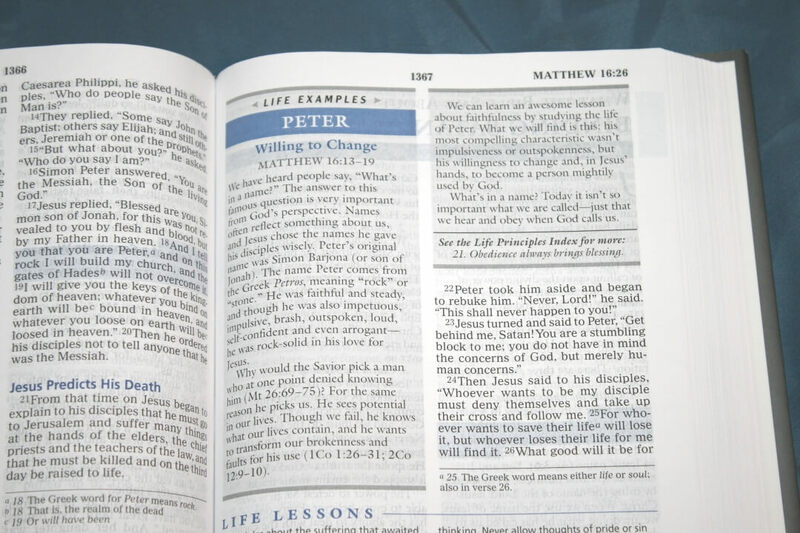 It does have some theology, but many of the notes have a devotional quality and I found them helpful in applying Scripture to everyday life and growing closer to God. I’ve used the NASB one since probably 2014 and I love it. I did upgrade to the large print but both are pretty readable. I’m only 28 so I don’t need a large print one but nonetheless it’s still easier on the eyes. I guess I’d consider it more of a devotional Bible. 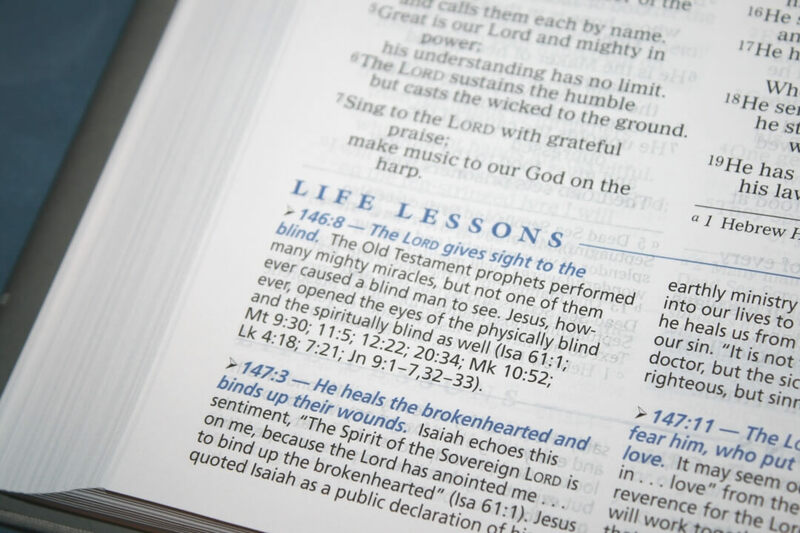 I do appreciate study Bibles but I find the Life Principles Bible very encouraging and I need that encouragement a lot. If I need more of a commentary I use John MacArthur’s study Bible app on my phone. It’s well worth the money. Or I use other free commentaries found on the internet. Either way, the text of Scripture is what matters so any type of Bible could be considered a “study” Bible in that way. Thank you for the review. I enjoy your website.